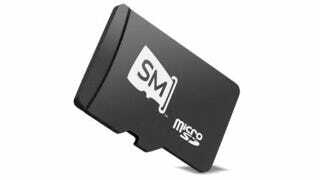 MicroSD cards are ridiculously, laughably, annoyingly tiny. (No, seriously: they’re small enough to be stolen by three slightly strong ants.) They’re about the same size of your baby fingernail, only with half a terabyte of storage now crammed in there. CNET spotted the packaging for a 512GB microSDXC card from Microdia at Computex. Microdia is a purveyor of flash storage products — in fact, it made the first 64GB Compact Flash card, way back in 2008. If it comes through with its latest offering, that would dwarf the next-biggest microSD challenger: a 200GB offering from SanDisk, announced back in March. Of course, you’ll be paying a pretty penny for all that space: around $1,000, although that price isn’t finalized. It might sound like a rip-off, but remember that a regular-sized 512GB SD card runs $800.